32 Arrested in Boiler Room Raids to Bring Down International Crime Syndicate Targeting Australians. MANILA – Thursday 29 November 2018 - Authorities in the Philippines arrested 32 persons, including eight foreigners, over an investment scam targeting Australians at their office in Pasig City overnight. 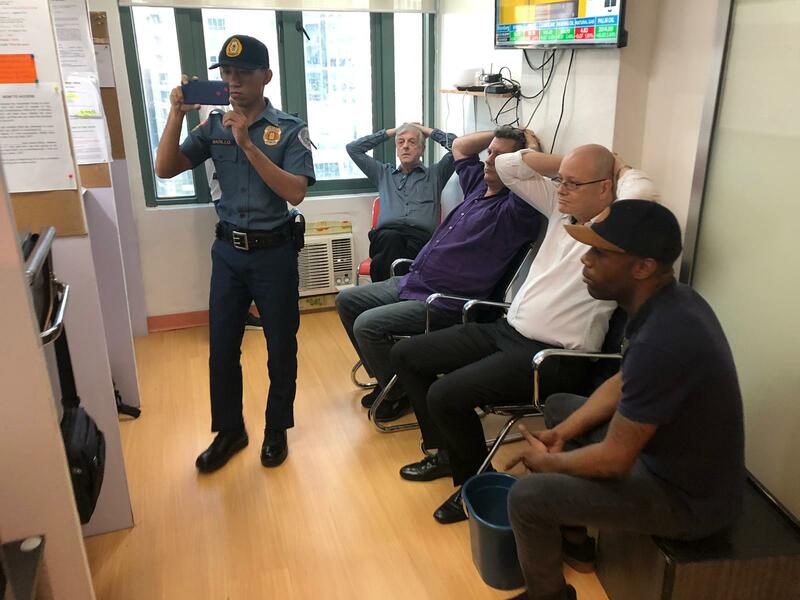 NCRPO head Police Director together with IFW Global operatives and US Homeland Security, served search warrants and raided the offices of Wilmington Capital Advisers and Tsaifu Elysium Global Inc. around 8:30am in the Ortigas business centre in Pasig City. They will allege that the group has been in operation in the Philippines for over two decades and had stolen millions of dollars from victims around the globe in that time. One of the scams uncovered included the selling of TILRAY shares to the Australian public whilst purporting to be a company called Timber Hill Group, a clone of the real company known as Timber Hill Australia Pty Ltd. According to IFW’s research efforts the suspects would target potential victims to convince them to invest in bogus international companies and shares. Once the victims had sent their funds to the investments the boiler room gang would cut contact and be left with the millions of dollars. “These boiler room gangs change offices frequently to avoid detection” Gamble said. The suspects have denied all allegations with the Filipino call center agents claiming that they were not aware that what they were doing was part of an illegal boiler room gang. IFW urges any victims of this scam to come forward and file a complaint against the suspects by contacting them directly. The suspects will be facing large scale fraud charges and violation of Section 26 of Republic Act 8799, or the Securities Regulation Code.